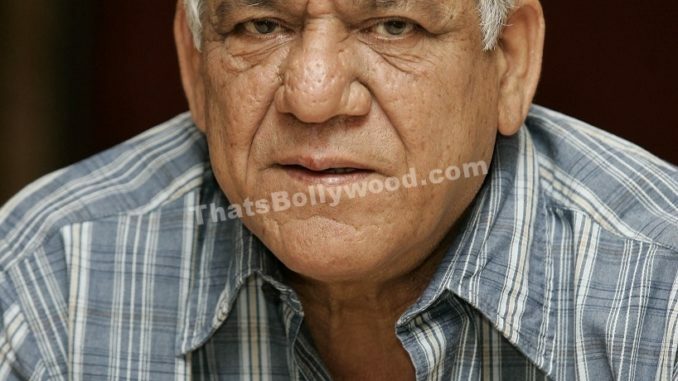 Veteran actor Om Puri has passed away at age 66. He was found dead at his Mumbai house on Friday morning due to a major Heart attack. Reportedly, Puri returned home on Thursday evening after a shoot. The door bell to his house at Lokhandwala’s Oakland Park residence went unanswered on Friday morning, following which his driver raised an alarm. The Padma Shri awardee, studied at the Film and Television Institute of India and at the National School of Drama, where Naseeruddin Shah was his classmate. Born on October 18, 1950, hailing from Ambala in Haryana, Om Puri made his film debut in 1976 with the Marathi film ‘Ghashiram Kotwal‘. A critically acclaimed actor, Puri featured in films like ‘Ardh Satya’, ‘Jaane Bhi Do Yaaro’, ‘Aakrosh’, ‘Mirch Masala’ and many others. More recently, he was seen in the movies, ‘Dabangg’, ‘Bajrangi Bhaijaan’ and ‘Ghayal Once Again’. The acclaimed actor delivered some stellar performances in mainstream commercial Pakistani, Indian and British cinema apart from making a dent in Hollywood with his roles in ‘East is East’, ‘City of Joy’, ‘Gandhi’ and ‘The Reluctant Fundamentalist‘. He was nominated for the Best Actor BAFTA for ‘East is East’ in 2000.